Scotland would be billions of pounds worse off had the Scottish people voted to leave the United Kingdom in September 2014, the government’s annual fiscal report suggests. The Government Expenditure and Revenue Scotland (GERS) figures, unveiled by Scottish First Minister Nicola Sturgeon on Wednesday, indicate the fall in the global price of oil and gas has devastated the nation’s finances and led to a dramatic drop in Scotland’s tax-raising powers, undermining the Scottish National Party’s (SNP) case for independence. According to the GERS statistics, considered a guide to Scotland’s finances, Scotland’s deficit—at around £15 billion (US$21 billion) —is proportionally almost twice as big as that of the UK as a whole. “These figures from the SNP government show once and for all the devastating impact leaving the UK would have had on Scotland’s finances,” said Scottish Labour leader Kezia Dugdale. Jim Gallagher, a former Cabinet minister and expert on devolution who advised the pro-UK Better Together Campaign in 2014, said the figures show that an independent Scotland would have fallen into an economic “abyss” equal to a 12 percent increase on all taxes. Jesus, GERS numbers are brutal. What is the utilitarian argument for independence in such circumstances, as opposed to the existential one? “We would be starting at the abyss at the moment if we had voted for independence,” he said on Tuesday night before Sturgeon released the report. Ahead of the referendum for Scottish Independence, the SNP used GERS figures from previous years when oil prices were high as evidence that an independent Scotland would be better off. Announcing the figures, Sturgeon dismissed criticism, claiming they must be examined in a broader context. “No country anywhere in the world looks at its fiscal position and makes judgments about its fiscal position based on one year’s figures. 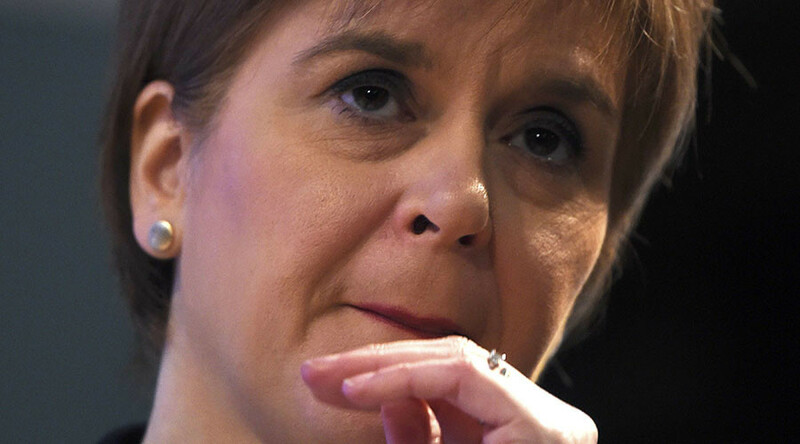 Over the past 10 years the reality is that Scotland’s fiscal position has been broadly similar to the rest of the UK,” she said. Last month, Holyrood and Whitehall agreed to a fiscal framework that safeguards Scotland’s UK funding for the next six years, as tax and welfare powers are transferred to Edinburgh in the biggest devolution package in nearly 20 years.